For a luxurious exfoliating experience, the Dead Sea Spa Magik Salt Brushing works to buff away dead, dull skin cells and promote regeneration to reveal healthy-looking, smoother skin from top to toe. 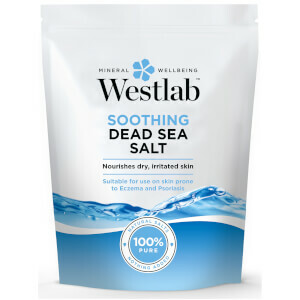 Utilising a blend of pure Dead Sea Salts, Coconut Oil and antioxidant Vitamin E, the scrub helps to increase blood circulation, reduce the appearance of cellulite, and deeply hydrate skin without irritation. The body is revitalised, detoxified and fragranced with a zesty citrus aroma. Use uma pequena quantidade do Salt Brushing e aplique na pele seca, com movimentos circulares na pele até que os sais se dissolvam. Elimine o excesso no duche. Maris Sal (Dead Sea Salts)*, Caprylic/Capric Triglyceride (Coconut Oil), Parfum, Tocopheryl Acetate (Vitamin E).